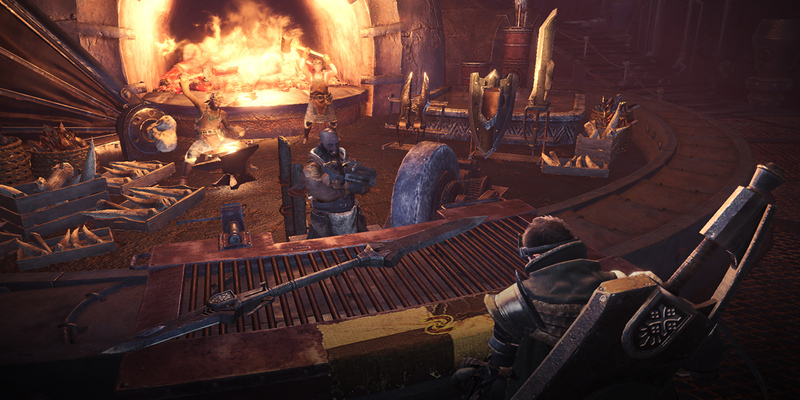 A workshop designed to answer all equipment-related needs, the Smithy may be the most vital of facilities for any hunter. 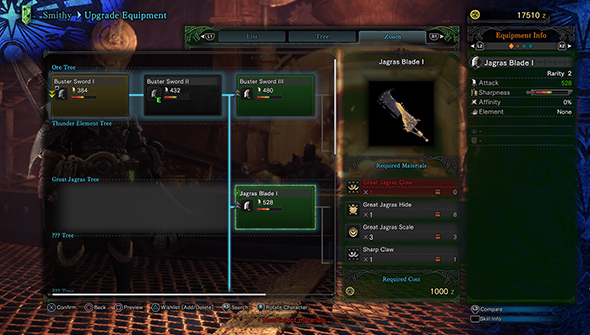 At the Smithy, hunters can not only forge new weapons and armor, but make upgrades and even revert certain upgrades. 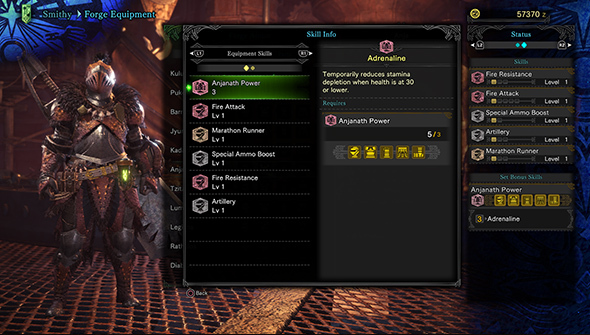 Armor obtained here also provides crucial bonus skills which come in two types, "equipment skills" and "set bonus skills." Each skill has different requirements for activation.